Suburban Prairie Homemaker: Let's Get the Garden Party Started!!! Let's Get the Garden Party Started!!! I started gardening seriously 5 years ago. I was going through a very stressful time, I'd always wanted to have a little vegie patch where the kids and I could work together, and the timing was perfect. I worked my stress out moving compost, mixing it with a few other necessities, and weeding and improving a small plot loaned to us by my in-laws. That summer, we grew snow peas, some alfalfa for our bunnies, and a few beets. A LOT of what else we tried failed. But that's ok - how else do you learn? I also had read the original many years ago. The basic premise is that you don't need a half acre plot to grow a bunch of vegetables for your family. You can get quite a good yield from 16 square feet. And I can tell you from experience that this is true. and also Louise's other book, Carrots Love Tomatoes. Why these books? 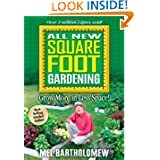 Well, Mel's books make gardening accessible for anyone. And I mean ANYONE! 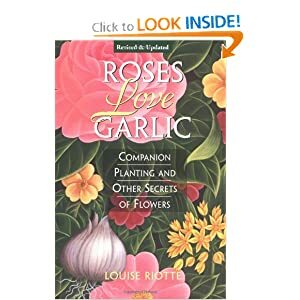 When I built our big garden beds after borrowing the little garden from the in-laws, I combined what he used in the first book with what he does in the second book. I also used a technique I learned about from several other sources called double digging. In a few weeks, when the soil is warmer (and hopefully more thawed out), I'll show you what I mean by this - in the meantime, if you are curious, you can Google. Our beds are specifically sized and laid out to do square foot gardening. And Louise - she reminds me of my farmer grandma. She shows you how certain plants, when grown together, help each other by scaring away pests or improving the soil. And guess what? Healthy soil makes healthy plants, and healthy plants generally don't get eaten that badly by bugs. I say generally because there are some exceptions, but I digress. For three years, in our own garden, we've put geraniums in with our potatoes to keep out the Japanese Beetles. And it works. This past summer, in the community garden that I worked at, we put some of her other suggestions to the test. We planted zinnias near the cabbage family plants. Guess what? No worms eating the plants to the ground. In the plots that didn't have zinnias in or near them? Stalks! Yep, that's all we got! Another suggestion in her books that's more commonly known is planting marigolds. These scare away just about everything else. Plus, they are bright and sunny and cheery. And, they will pretty much grow anywhere for anyone. I love the Sqft gardening method! That was one of the first methods I started. Thank you so much for visiting my blog and commenting, it was very appreciated.